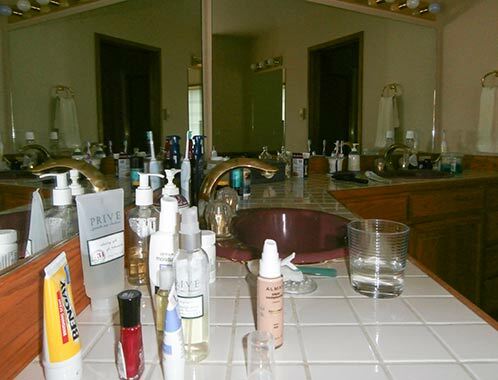 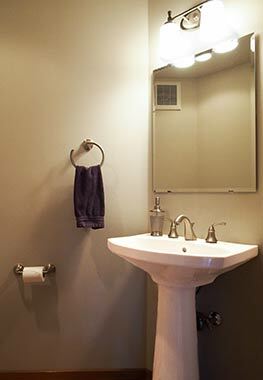 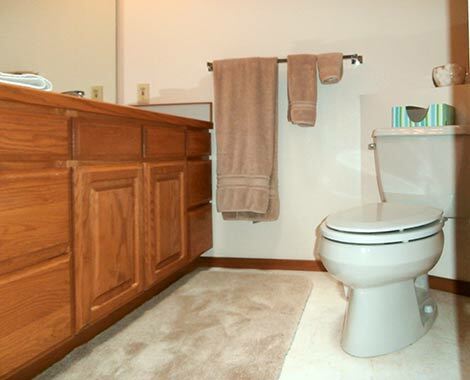 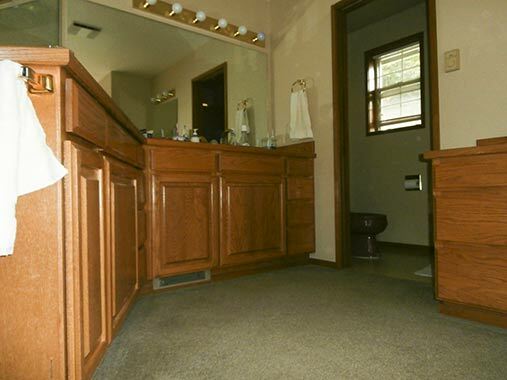 The homeowners requested that all three of their early '90s bathrooms be remodeled simultaneously while they lived in the house. 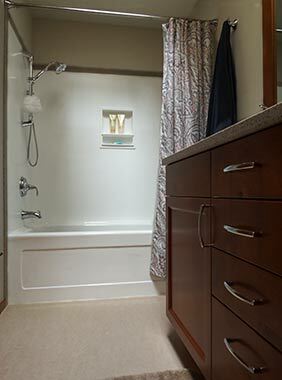 The primary objective of the project was to bring the fit, finish and comfort of all three rooms into the 21st century while minimizing the number of days that they would be unable to bathe and groom in their own home. 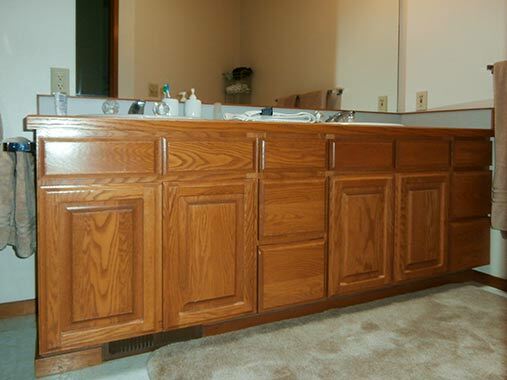 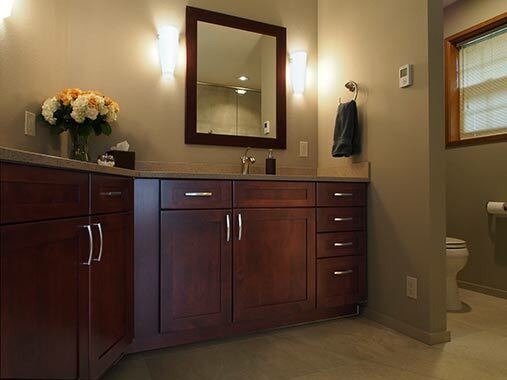 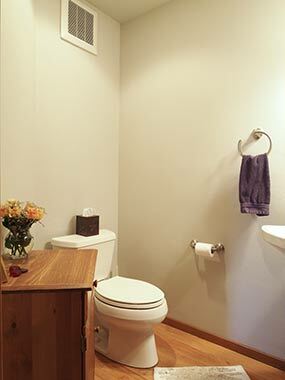 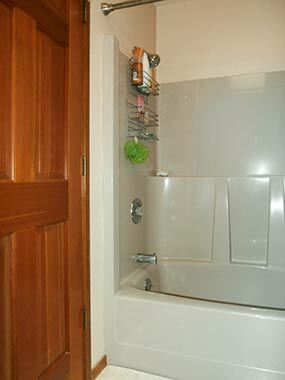 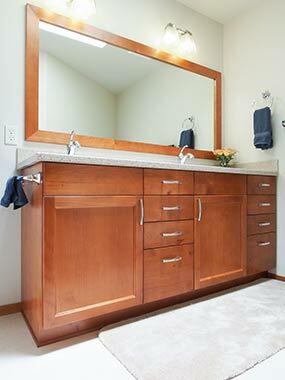 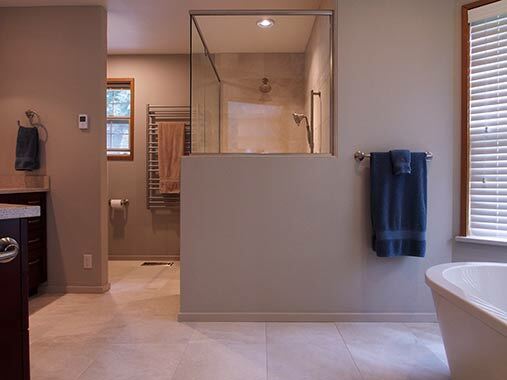 The large master was comprised of a two sink vanity, shower and deck mounted tub. 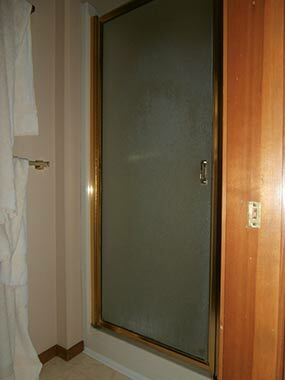 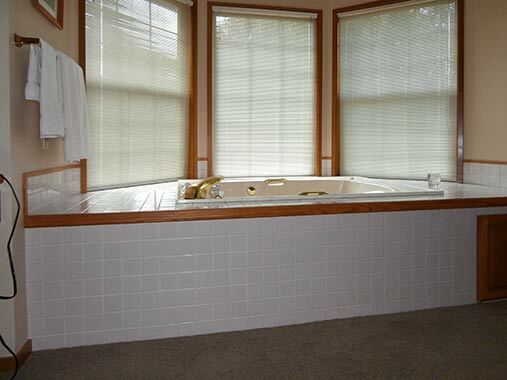 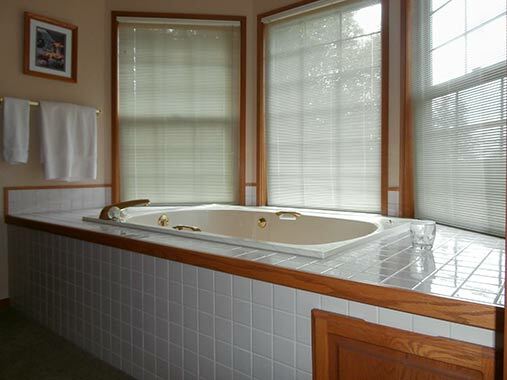 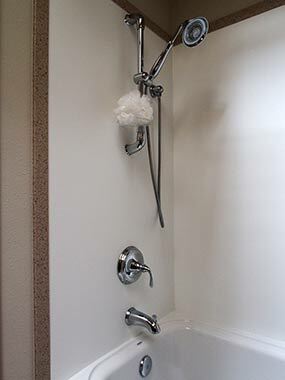 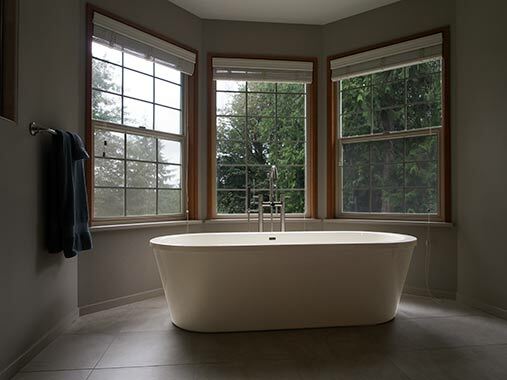 The original installation of the tub required the occupants to climb onto the tub deck to open/close windows and window blinds and the carpeting, though soft on the feet was not warm and held both moisture and odors. 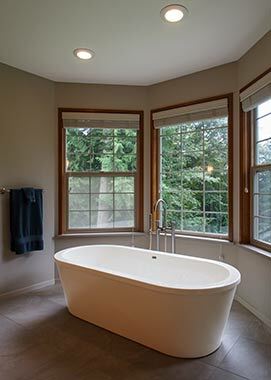 The second floor bath was comprised of a fiberglass tub-shower unit and a two sink vanity while the first floor powder room was comprised of a pedestal sink and toilet. 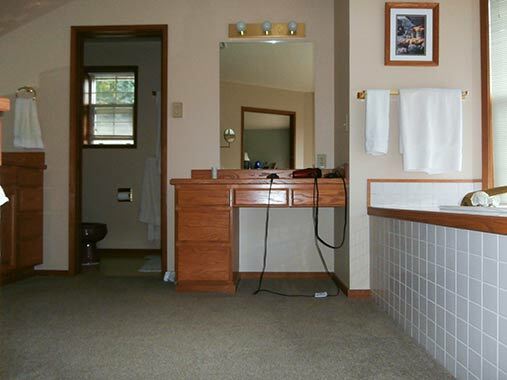 All three bathrooms lacked good artificial lighting and quiet efficient exhaust fans. 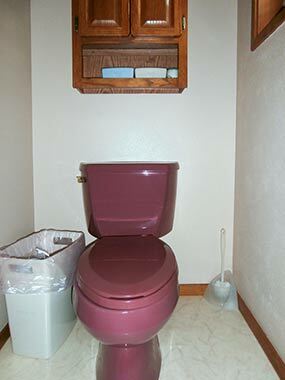 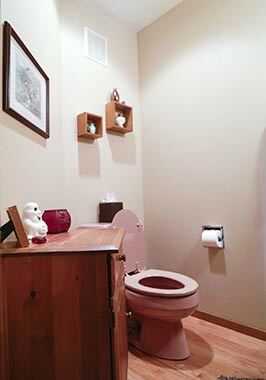 The homeowners requested a relaxing retreat for the master, a well-appointed but easy to maintain guest bath and anything but pink for the powder room. 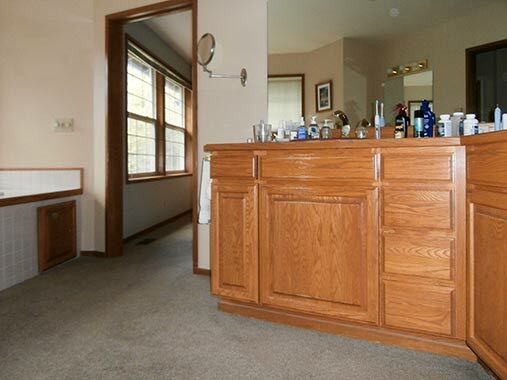 What they received was all of the above and more! 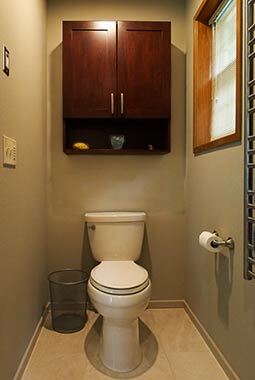 "Molly, Clive and the A Kitchen That Works team remodeled our three bathrooms simultaneously. 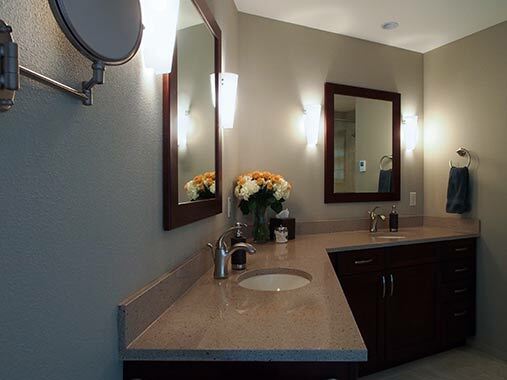 We were impressed by their attention to detail, high standards and the thoughtful care with which they treated our home. 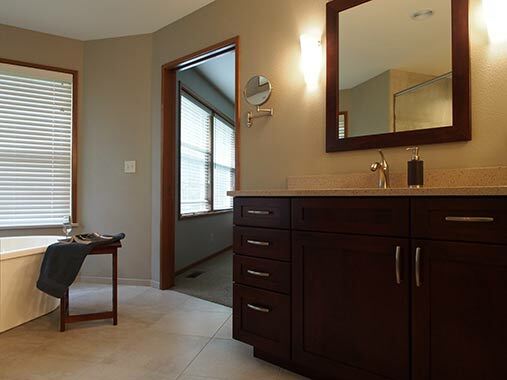 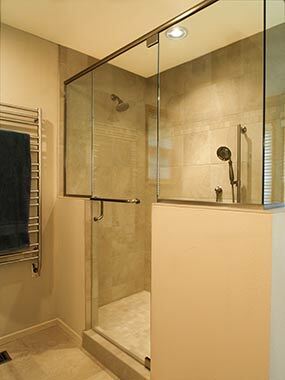 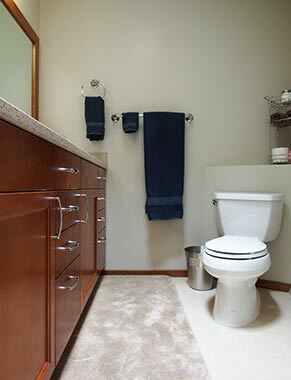 We are thrilled with our new bathrooms and would not hesitate to recommend A Kitchen That Works!" 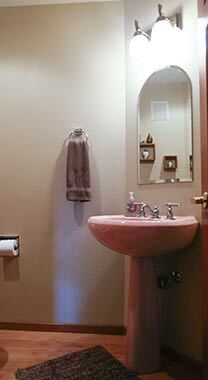 ~ Christine J.